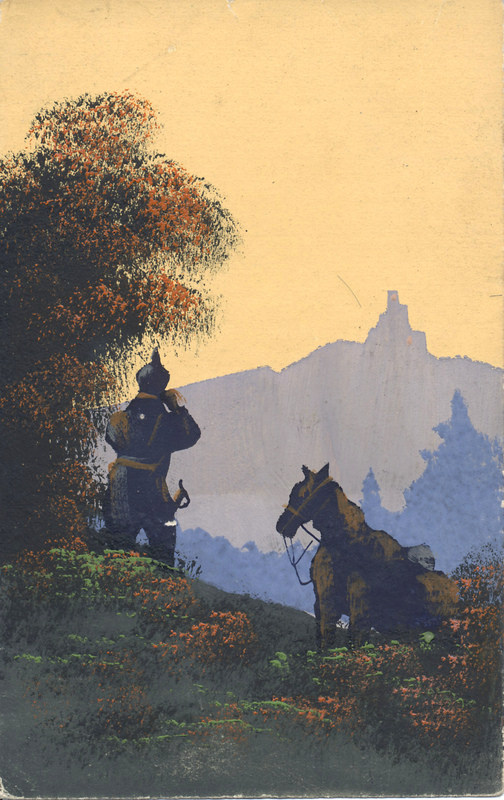 A German mounted scout on reconnaissance examines the land ahead through his binoculars. He and his mount are in the hills, possibly the Vosges or the Ardennes. An original gouache painting from 1914. 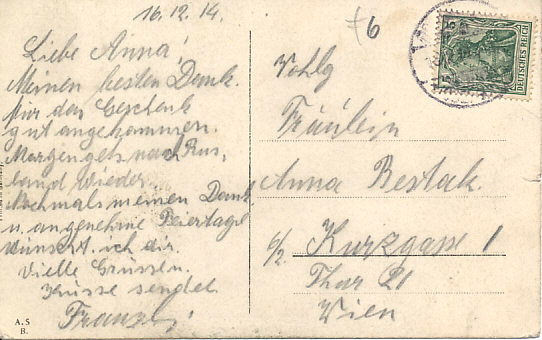 The message on the reverse is dated December 16, 1914. Message dated December 16, 1914. 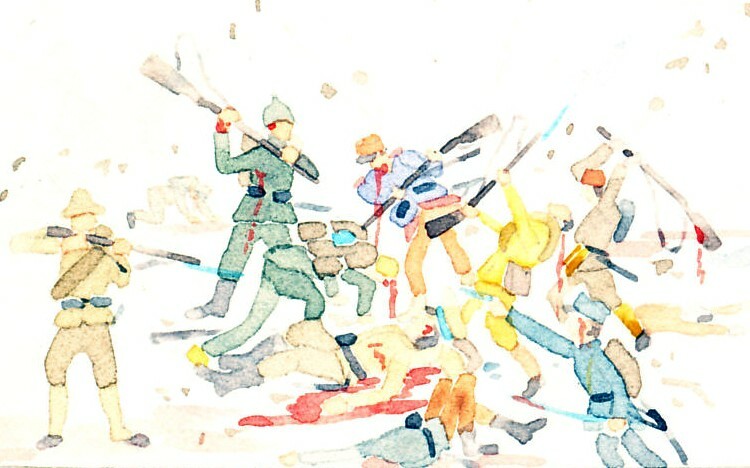 Defenders holding the front trenches in an attack were obviously subject to the shock of attacking troops, but also to the preliminary bombardment that typically preceded an attack, sometimes for days. Losses could be heavy. Defense in depth was developed in response. It provided a flexible defense with multiple lines in which the first line was lightly held. Second and third lines were more heavily manned and could serve as points from which counterattacks could be launched after an enemy offensive.